Finding an operating loan has proven to be extremely difficult – any suggestions? The Carrot Project is responding to Laurie’s and Randall’s question with a resounding “Yes!” The Carrot Project, in partnership with Strolling of the Heifers and Chittenden Bank, created The Microloan Fund for New England Farmers. The mission of the fund is to address the difficulty that some New England farmers have in obtaining credit for projects that improve their operations and increase their income, as well as for emergency needs. Our partner, Strolling of the Heifers, Inc., is best known for its annual agriculturally themed parade, Green Expo, and Dairy Festival in downtown Brattleboro, Vermont. Initial capital for the fund was raised through both donations and investments. The program plans to approve and close the first round of loans in early April. Loan applications for amounts ranging from $1,000 to $10,000, for terms of up to five years, are being accepted. For this initial, pilot round of loans, applications will be limited to farms located in Vermont or in Western Massachusetts (Berkshire, Hampshire, Hampden, and Franklin counties), with a primary focus on loans to small- and mid-sized farms that use sustainable or organic methods (or are moving toward them), and that are marketing at least a portion of their products to local markets. In future years, as the fund grows, it will expand loan activities to all the New England states. Eligibility is limited to farms with 250 or fewer acres in active production, and annual gross revenue of $250,000 or less. Which Banks Make Agricultural Loans? 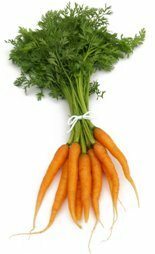 Thanks to a grant from Farm Credit Northeast AgEnhancement, The Carrot Project is revamping and up-grading its directory of financing and business technical assistance resource web links. The Carrot Project Website directory will begin to answer questions such as “Where can I go for financing?” or “Which banks make agricultural loans?” The resource directory will be an easy way for farmers, particularly those starting out, to determine which lenders have a history of making agricultural loans, and what other resources, in addition to commercial banks, they should investigate. The resource directory will also provide links to literature and services about financial management and business planning that will help them understand how to prepare business plans and financial documents. The directory will be available starting February 2009. Photo courtesty of Nancy Ross. The Carrot Project’s success is predicated on the many generous and helpful individuals who provide invaluable advice and support to the organization. We would like to thank all of the organizations and individuals for the time, effort, moral support, investment, and financial contributions that you have provided as we incubate and develop alternative financing programs for farmers. Your hours spent on the phone, reviewing documents, and attending meetings, as well as your financial contributions, are greatly appreciated. Thank you. For a complete list (we hope) of all those who have helped, click here. If you have any questions about The Carrot Project or the content of this message, please go to www.thecarrotproject.org or e-mail info@thecarrotproject.org.